By and by, because, according to Saul Bellow’s concise and elegant formula, “A writer is a reader moved to emulate,” and thinking it could do no harm, I tried my hand at producing science-fiction works of my own. In October 1970, I attended a meeting of the Dallas Area Science Fiction Society and effectively met my future—the fledgling or aspiring writers Howard Waldrop, Geo. W. Proctor, Tom Reamy, and Buddy Saunders, constituting more than half of the founding members of the Texas-based SF-writing workshop called the Turkey City Neo-Pro Rodeo. Later, we were joined by Lisa Tuttle, Joe Pumilia, and Bruce Sterling. We were young, excitable, and very competitive, which pushed us to work hard at learning our craft. We were also friends, however, and collaborative efforts inevitably ensued. When I started writing SF professionally the SF field was still a cozy place, with discernible boundaries adjoined by the watery body of fantasy literature and overlooked by its own Mount Rushmore: Robert A. Heinlein, Isaac Asimov, Arthur C. Clarke, and (gazing off in a slightly different direction) Ray Bradbury. John W. Campbell, Jr., was the Pope, and half a dozen long-lived magazines regularly delivered the gospel. Everybody knew everybody else, what they had written and were writing, what they would get paid for their work (pittances, for the most part) in the fullness of time, and even with whom they were sleeping. It was a realm sufficiently inbred and insulated so that some of its more ardent citizens could say such things as, “Science fiction is the living literature,” and hardly anybody would laugh at them; relatively few people in the realm knew enough about literature—that is, the literary mainstream, which they dismissed out of hand—to understand that not only was SF not the be-all and end-all of literature, but that there was no such thing as a be-all and end-all in literature (not even Henry James). Xenophobic nativists patrolled SF’s borders, ever vigilant against contamination by The New Yorker, academics, and other infidels. To a certain extent their paranoia was justified: Kurt Vonnegut had noted in his essay that many critics outside the SF field mistook it for a urinal, while within the field a subversive movement, sort of a Reformation in progress, called The New Wave, seemed to be gaining ground, threatening the very moral and intellectual foundation upon which all the steely-eyed, square-jawed, pulp-fictitious spacemen of yore had firmly planted their magnetic boots. Other controversies were as ridiculous in their way (“Can women write science fiction?”) as medieval disputes over the number of angels that could dance on the head of a pin. My original career as a science-fiction writer was brief. Suffering from undiagnosed and untreated clinical depression, I finally decided that, whatever was wrong with me, writing didn’t help, and so I stopped, and perhaps I did so just in time, as a Counter-Reformation gathered strength. 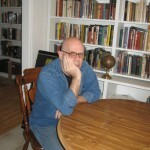 My friend and occasional collaborator Howard Waldrop was warned by an editor at a major publishing firm against writing science fiction in the first person, because it could lead to introspection, and some of the rejection notes I received from the editor of a leading magazine struck me as being almost as insulting. So I stopped, and tried to get on with my life by pursuing interests that had nothing to do with SF. This meant that I also stopped reading SF when I stopped trying to write it; there was simply too much else in the way of reading matter which I had been ignoring while Keeping Up With The Market, the excuse SF writers give for consuming lots of SF to the exclusion of so much else. As it turned out, not writing didn’t help, either, and after about a decade I started again. Presumably there are still controversies, and in all likelihood some very ridiculous ones, but they do not concern me, for if SF was ever a holy cause for me, it has long since ceased to be so. Undoubtedly there is good work being done in the genre—there nearly always has been—but I just don’t have the energy and interest required to go digging for it. I am content in my ignorance of who’s hot and who’s not. It is safe to say that, anymore, my interest in science fiction is barely even scientific. Mostly, it is fictitious. And yet, and yet . . . on occasion I find myself unable to settle down with a good murder mystery (possibly but not definitely my light reading matter of choice these past many years) and simply not up to head-butting my way through that next volume of Proust, and I reach instead for a Groff Conklin anthology, say, or Leigh Brackett, or some tattered old issue of Thrilling Wonder Stories, in the full knowledge that absolutely nothing else will satisfy my inner pimply, virginal, teenaged reader. 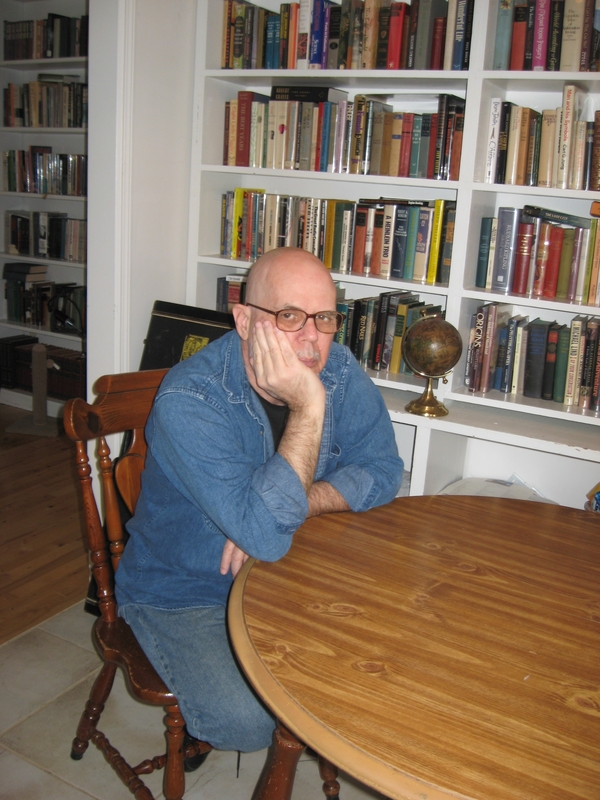 Steven Utley, a founding member of the Turkey City writing workshop in Texas during the 1970s, is the author of three story collections, Ghost Seas (Ticonderoga Publ., 1997), The Beasts of Love (Wheatland Press, 2005), and Where or When (PS Publ., 2006), and co-editor of the anthologies Lone Star Universe (with Geo. W. Proctor, Heidelberg Publ., 1976) and Passing for Human (with Michael Bishop, PS Publ., 2009). His series of Silurian tales, which have been appearing in Asimov’s SF, F&SF, Analog, Sci Fiction, and other venues since 1993, are forthcoming in two collections, The 400-Million-Year Itch and Invisible Kingdoms, to be issued by Ticonderoga in 2012-13.